Sorry we are currently out of stock. But don't worry more are on their way! Email us your order and we will give 35% off the RRP when they arrive. 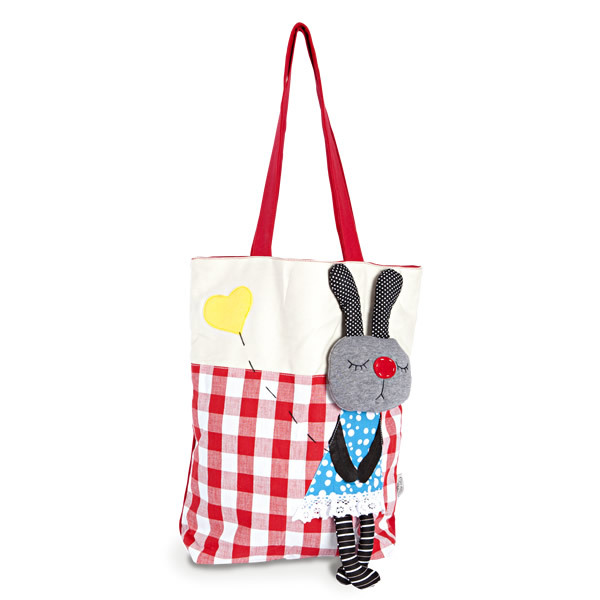 Let your kid’s fashion statement shine with this cute and lovely bag. School library bags should be made out of heavy duty canvas material to ensure that kids can store more of their stuff and this is the library bag that would surely suit that need. It is spacious with easy open access making it easier for kids to handle their stuff. It is perfect to use as a kid’s library bag or just a cute and simple book bag where they can store more books yet look up-to-the-minute. Aside from their school life kids have outdoor activities as well. The bag’s carefully hand crafted material and design makes it all the more great to use as a kid’s travel bag too. Kids can carry and store more of their stuff as they hit the streets with their pals and look trendy at the same time. Little girls will surely love its fun and playful hand crafted design that add a chic touch to their looks on the whole. Library bags for kids have never been more as fashionable and hip as this featured bag. Who said carrying your books have to be unfashionable? With this bag, you are surely a winner!